We are here to support your needs. If your questions are related to workouts, meets, events, goal setting and other swimming related needs, please contact your practice site head coach directly. For all questions related to administrative items such as dues, meet entries, safety or policy issues, please contact Frankie Hanson, Director of Aquatic Operations at frankie.hanson@dmymca.org. Coach Bill Wadley has been with the YMCA of Greater Des Moines since March 2018 as the Director of Youth Competitive Swimming and the Head Coach for the Travel Team training group. Wadley, formerly head men’s swimming coach at The Ohio State University for 28 years, has compiled a long list of coaching achievements during a career spanning nearly 40 years, including Big 10 and USA Nationals championships in 2010 and national and international coaching experience. From 1989 to 2017, his Ohio State teams posted a combined record of 245-45, with more than 60 swimmers earning individual Big 10 titles and 15 setting national records. He coached USA teams competing in the Goodwill Games, the World University Games and the Pan Am Games, as well as 16 Olympians from 1984 to 2016. He is a past president of the American Swimming Coaches Association and the College Swimming Coaches Association and the recipient of numerous honors and awards, including Big Ten Coach of the Year. Coach Wadley is looking forward to working in the Des Moines community and helping young swimmers learn valuable life lessons through the sport. It will be our mission to foster a team environment and a culture that is fun and enjoyable, with skill development being of utmost importance. This is an exciting opportunity to build something special at the YMCA of Greater Des Moines – a program that will help athletes thrive and achieve at the highest levels. Coach Bob has been with the YMCA of Greater Des Moines since late 2014 and is the Head Coach for the Ankeny practice site. Prior to coaching the Aquahawks, Bob was a graduate assistant coach with Iowa State University. Bob received his BA in Journalism/Mass Communication and Education Certification from ISU. Bob has a strong personal background with swimming. He was a four-year letter winner as a member of the Iowa State Men’s Swimming and Diving Team and a member of the 1995 Big 8 Championship Team. Back in high school, Coach Bob was received All-American Honorable Mention in the 50 Free (which he considered his best event, yet the 100 breast was his favorite!). Coach Bob believes that coaching has the ability to affect the lives of children in a positive manner. Sport teaches lessons in teamwork, integrity, dedication, sacrifice and humility and I believe that delivering those lessons is tantamount to helping our swimmers achieve athletic success. My goal is to develop young people who enjoy swimming and are healthy in mind, spirit and body. He enjoys spending time with his family; wife Susin and children: Joe, Jaycin (JJ), Sydney, Chloe, Maia, Alanna and his pets; Tigre (cat), Chaos and Havok (Siberian Huskies). In his spare time, you can find Coach Bob enjoying one of his favorite hobbies; reading, basketball and video games. Coach Joe Cataldo is the Head Coach of the Wellmark YMCA Practice Site swim team. 2018-19 will be his 20th season coaching at Wellmark/Riverfront. Joe spent 4 years as an assistant and the last 15+ as Head Coach. For the last 3 years, he coached a team without a pool. Joe can’t begin to tell you how well these swimmers handled all the adversity they encountered, and the uncertainty. Lemons to Lemonade. He has had the privilege of coaching many fine boys and girls – some of which have had great success at the State and Regional levels. Last year, the Wellmark branch sent 89% of our swimmers to State, and finished 10th out of 48 teams at YMCA Regionals. More importantly than their accomplishments, he is proud of the character which these boys and girls demonstrate as they mature and grow into young men and women. Coach Joe doesn't believe in mindless swimming. He thinks the best competitors understand the importance of one’s technique. At practice swimmers are expected to put on their thinking caps before they put on their swim caps. When our swimmers do well at a meet, it’s not only because of their efforts, but also the efforts of their teammates at practice. Pushing each other in practice, and rooting for all, is what makes a group of swimmers – a team. Joe gets as excited when a swimmer achieves a personal best in an event, as when a swimmer sets a state record. Joe has two memorable swims that come to mind. The first was at the 2008 Beijing Olympics, were Team USA pulled off one of the greatest comebacks/upsets of all time in the 200 Meter Free Relay. The second was Anthony Irving, 50 meter win at the 2016 Rio Olympics, winning at the age of 35, 16 years after winning the same event in 2000. While those were memorable, he has had the opportunity to witness many other great swims from our swim team over the years. Joe also has witnessed great sportsmanship by our swimmers. Joe says this all the time, because he means it – “the best part of my day is coaching the swim team”. When he is not coaching, he is home watching TV, taking his cats on daily supervised outings, or watching film on stroke technique and coaching. Coach Kimberley has been with the YMCA of Greater Des since the spring of 1996. She is currently the head coach of Walnut Creek practice site. Coach Kimberley has an extensive coaching background. 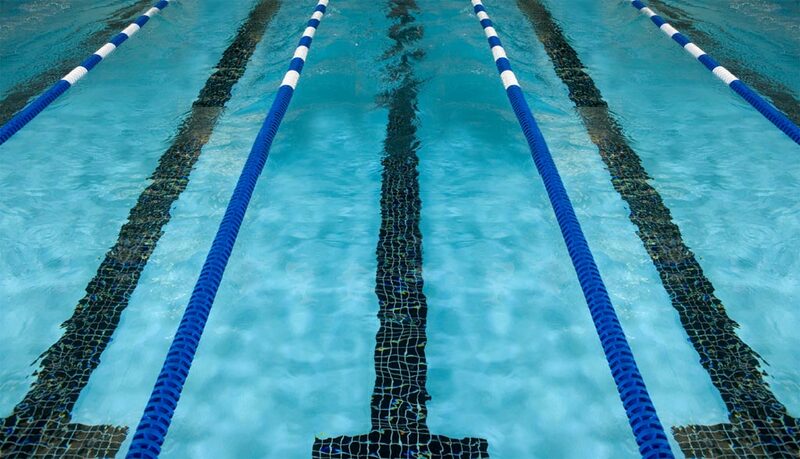 When I was 14 the head coach of my neighborhood recreation team, The Mosby Woods Raiders, in Fairfax, VA, asked me to coach a group of the 8&Un swimmers. I was one of the few swimmers who swam year round on the Starlit AAU Swim Team in Annandale, VA. I coached and taught swim lessons at my community pool from 1971-1978. After high school, I worked part-time while attending George Mason University in Fairfax, VA and helped out with summer swim team when I wasn’t travelling or studying abroad. During that time I was privileged to have the lead aquatic training officer for the U.S. Navy Seals as my coaching mentor. My coaching career was on hold until 1993 when we moved to Clive, IA, and I began teaching lessons at the Walnut Creek Family YMCA where both of my young sons were enrolled in swimming lessons. I was asked to start a swim team at the Y in December of 1995, and we had our first season the summer of 1996 with 13 swimmers from our lesson program. Our first official season was the fall of 1996-97 with 35 swimmers enrolled. By the following year, we doubled to about 65 and our third season we enrolled over 100. Since our third year, we’ve capped the program to between 120-140 swimmers. Both the Wellmark (formerly Riverfront) and Waukee YMCA teams grew out of the Walnut Creek YMCA program. Since our third year through 2017, we’ve had between 75-90% of our swimmers qualify for our YMCA State Championship meet. Swimming is much more than a sport. Our coaching focus and philosophy is to mentor, encourage, and challenge our athletes to develop their physical skills, mental discipline, emotional maturity, and spiritual character as they grow in self awareness and work to achieve their goals and dreams in a positive, supportive, familial environment. The sport of swimming has the highest grade point average in both high school and college for a very good reason. Swimming fosters the development of a number of very valuable and important life lessons that lead to more successful and enriching lives in our communities. I first began competing on the Gainesville Swim Team in Gainesville, GA for three years before moving to Northern Virginia to swim on the Starlit Swim Team in Annandale, VA, one of the largest AAU swim teams on the East Coast at that time. I swam for 4 to 5 hours per day through my junior year in high school travelling and attending meets throughout the East Coast. My best events were 100 and 200 backstroke and the IM. Coach Kimberley's education and athletic background started on the east coast. I graduated from Oakton High School, in Vienna, VA and attended George Mason University, in Fairfax, VA for two years while working and coaching part time. I studied at the Sorbonne, University of Paris, for four months, before returning to northern Virginia where I worked while attending Northern VA Community College before completing an AA degree in Business Administration at Katherine Gibbs Business School in Boston, MA. I later completed my undergraduate degrees in French and Art History at Principia College in Elsah, IL. . During the summer months between school years, I completed a graduate level masters certificate on the European Community in Europe from American University in Washington, D.C. and received my MA in International Affairs at Washington University in St. Louis, MO. Kimberley and her husband David have two sons, Daniel and Andrew, both of whom grew up swimming on the Walnut Creek YMCA Dolphins Swim Team. Daniel went on to swim at the U.S. Naval Academy and Andrew competed all four years at Principia College and was chosen as their top student athlete at graduation. I spend my time away from the pool with Bible study, reading, travelling and exploring foreign countries and cultures, skiing and biking. My husband and I very much enjoy having the swim team families at our Lake Panorama home to play each summer. James "Butch" Lawson: Butch started coaching in 1974, helping Mike McWilliams put on swim clinics in neighboring towns. I began coaching professionally in 1988. Achieved American Swim Coaches Association Level 5 designation in 1991. Was USA Swimming National Team coach in 1992 – 1993. Coached numerous State Champions, individuals and teams. Also coached Junior National qualifiers, Junior National Champions, and Senior National Qualifiers. Was two-term president of the Iowa Swim Coaches Association. After 15 years in corporate America in various finance roles, my passion brought me back to the pool with the opportunity to coach masters. I relish coaching masters to help each athlete achieve the goals they have set for themselves. Masters is a gratifying blend of teaching and coaching. Along with Mike McWilliams, I owe a huge debt of gratitude to Bill Saxton and Rod Kubat. I also met my wife, Rachel Stauffer, through the sport of swimming. Many thanks to the countless others who have helped me along the way. Butch graduated with a BA in Accounting from the University of Iowa in 1982, and earned my MBA from the University of Iowa in 2004.